The business plan for 14th Star was drawn up on the back of a notebook while Matt and Steve were deployed together in Afghanistan. When they returned home, they decided to take the leap from homebrewers to entrepreneurs with the mission of continuing to serve others. Since opening 14th Star in 2011, the St. Albans-based business has grown to 24 employees and distributes their beer in 5 states. In keeping with their mission, the business gives back to organizations like Purple Hearts Reunited, the Josh Pallotta Fund, Make-A-Wish Vermont, Vermont Adaptive Ski and Sports, and Martha’s Kitchen, while also hosting community events at their Taproom. With 20(+) years of service, Matt (20 years) and Steve (23 years), attribute much of their success as business owners to skills they learned from the Army. Leadership, strategic planning, safety, mentorship and teamwork are all skills that they have applied directly to entrepreneurship. Now, Matt and Steve (along with partner Zac Fike) have made it their mission to share this knowledge with other veterans. Their latest venture, Danger Close, is a whiskey-distillery that teaches other veterans to draw on skills they learned through service to start their own businesses. 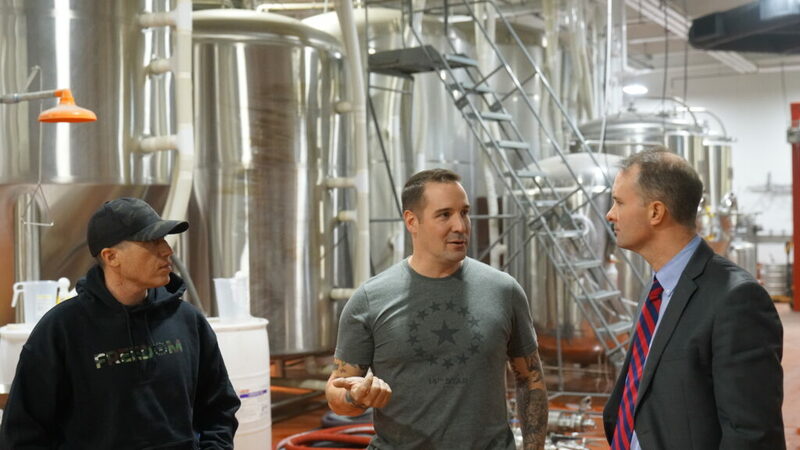 We visited Matt and Steve at 14th Star’s Brewery and Taproom in St. Albans to learn more about the inspiring work they’re doing. (Matt): I’m from Burlington, Vermont and currently live in Swanton. I am married with two wonderful boys. I am a platoon sergeant in the Vermont Army National Guard’s Mountain Infantry Battalion and have served in the Army for 20 years. 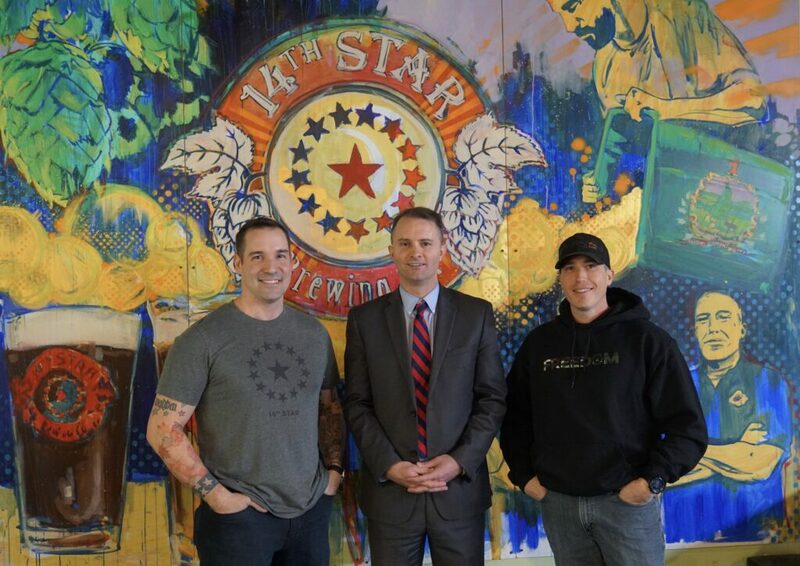 I have two deployments (Iraq and Afghanistan – both with Steve) and we founded 14th Star Brewing together in 2011. Steve and I met in late 2000 and we knew early on that we wanted to continue to find ways to work together. After our 2010 deployment to Afghanistan, Steve and I decided to put the brewery business plan we wrote overseas into action. We never envisioned the brewery to grow as big and as fast as we did, but we find that our military experiences have helped us grow the business. (Steve): I am originally from Highgate, Vermont and live in St. Albans with my wife and two children. I am the executive officer for the Army’s Mountain Warfare School in Jericho, Vermont. I have served in the Army for almost 23 years. I think our time in the Army, and the Vermont Army National Guard in particular, has helped us as entrepreneurs. As full-time guardsmen, we assist the traditional guard leaders who work the “one weekend a month, two weeks a year” schedule in completing their goals and training objectives. Since we aren’t at the brewery full time, we use the very same tactics in leading the organization: We have a talented team of full-time staff and leaders at the brewery and simply provide them guidance and direction and let their natural talents shine. 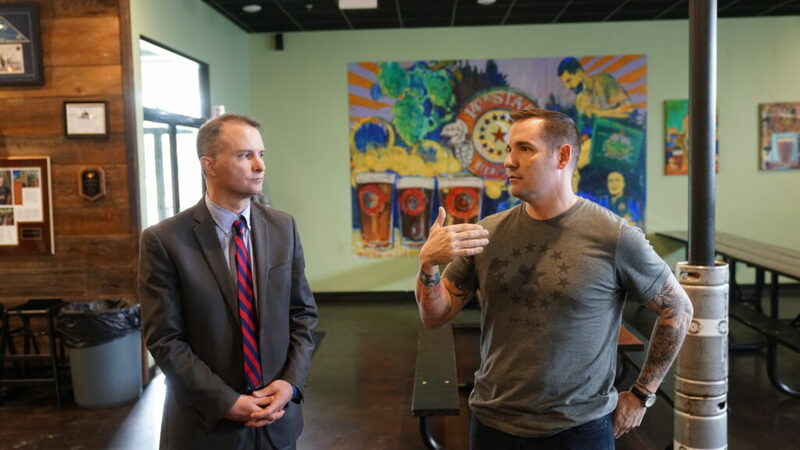 What inspires your work with the Army, 14th Star Brewing, and in the community? The desire to serve others and our community not only led us to joining the military, but to continue that service through our business. We believe that leaders should show others what right looks like and inspire them to “Follow Me.” We look for those very same characteristics in our employees and partners because we know that our efforts as a company can create positive outcomes in our community and show other businesses that there is a tangible benefit to serving others before serving the bottom line. 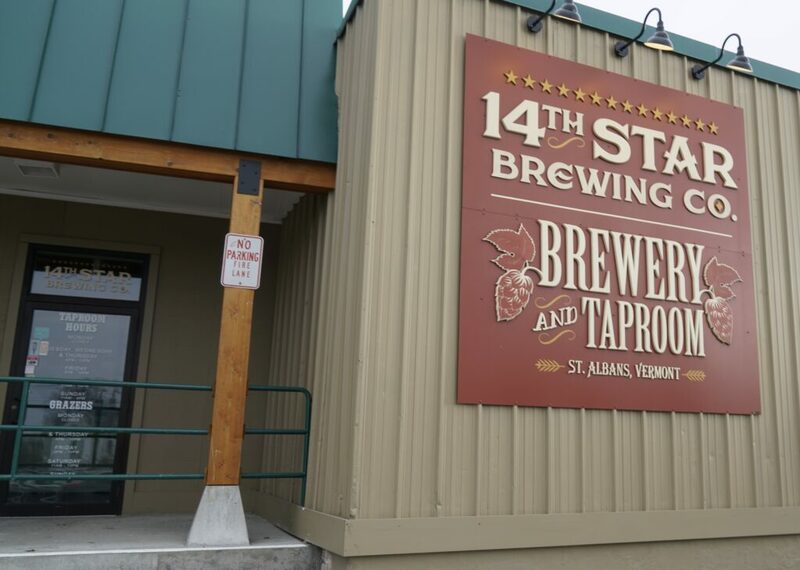 What sets 14th Star Brewing apart from other brewers? What’s its mission? Well, we can start with amazing beer! But seriously, there is some fantastic beer being made throughout Vermont. We think the thing that sets us apart is that we have a reason for doing what we do—beer happens to be the product we create. This translates directly to our motto of “Brewed with a Mission.” This means that we work to improve the lives of our nation’s veterans and our local communities through the power of great beer. You give to so many organizations, is there a cause or organization that you are most proud to support? We are proud of all of our efforts in working with organizations dedicated to doing good and helping others. From the very beginning, we have been a supporter of Purple Hearts Reunited and their mission of return lost or stolen purple hearts and medals of valor to veterans and their families. We also have a very deep connection with the Josh Pallotta Fund, founded by Valeria Pallotta, the mother of a Soldier who deployed to Afghanistan in our Brigade and who took his own life after struggling with PTSD and Traumatic Brain Injury. Outside of the veteran organizations, however, we are pursuing projects like Vermont’s first “The House That Beer Built.” Working with the Green Mountain Habitat for Humanity and gathering support from other Vermont Craft Brewers, we’re working to fund the building of a home for families in need – simply through the power of great beer. Helping these organizations certainly keeps us busy, but it is the kind of work that the brewery was founded on: Improving our communities and inspiring others to put their neighbors first. What advice do you have for other businesses looking to impact their community? It’s not as daunting as you think it is. The return on investment in terms of goodwill and community engagement you’ll receive from your efforts, no matter how big or small, is infectious and you’ll find that it eventually makes its way into your financials. The important part is not the size of your efforts or contributions, but the fact that you’re engaged. “Many hands make light work” and if every business were involved in the improvement of the community as a responsible corporate citizen, our little corner of the world would be a far better place! As Vermonters, we are familiar with cold temperatures. It gets cold here in the winter. That’s why access to heat is so important. The Vermont Attorney General’s office is charged with seeing that companies remain in compliance with Consumer Protection Rule 111: Regulation of Propane. 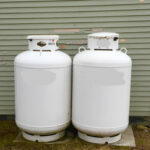 Our Consumer Assistance Program (CAP) receives propane complaints each year. Since 2011, there has been an overall decline in propane complaints which is good news. When consumers can’t afford the cost of fuel or energy to heat their homes, there is a severe risk of hypothermia, especially during such cold winters here in Vermont. People often turn back the dial on their thermostats in order to preserve fuel to forgo the added expense. The CAP hotline has heard stories of families in need of fuel, living on low to no heat in the middle of winter. Lack of fuel is beyond a consumer protection issue; it’s a health risk. If you or someone you know is having trouble affording heat this winter, here are some programs that can help: Vermont has the Low-Income Home Energy Assistance Program as well the WARMTH Program to help. 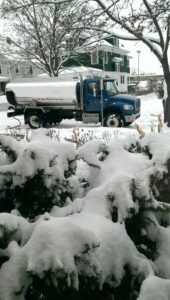 We encourage people who need heat to seek out Vermont Fuel Assistance. Vermonters can call 1-800-479-6151, visit their local Department of Children and Families or Community Action. Don’t qualify for fuel assistance? Your Community Action office may have a supplemental program, like Fuel Your Neighbors that may be able to help. Also, check with your fuel dealer. The Vermont Fuel Dealer’s Association has “Split the Ticket Program” that delivers free heating fuel to individuals through donations from fuel dealers, local businesses, organizations, and private donors. For those who agree that going without heat in Vermont is unconscionable, please consider making a donation to support your neighbors in need. Can’t afford it? You can commit to performing wellness checks on people who you suspect may be keeping the dial back. Your neighbors will appreciate the warmth.